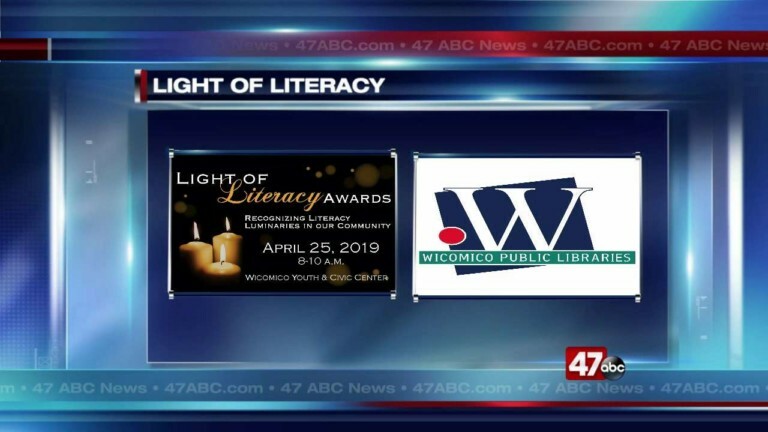 SALISBURY, Md.– Spring is right around the corner and that means it will soon be time for the Light of Literacy Awards hosted by Wicomico Public Libraries. 47 ABC’s Brandon Bossert was joined by Sam Gibson to learn about the event which will take place at the Wicomico Youth and Civic Center on April 25th from 8-10 AM. The event, which will be narrated by 47 ABC’s Erica Murphy, highlights those who promote and assist with literacy in their community. The theme this year is Science, Technology, Engineering and Math (STEM). Money raised from the event will go towards services that are provided for free by the library. Nomination categories include: youth, adult, organization and educational institution. Nominations will be accepted until February 28th.